Life Coaching is different from Counseling in that counseling focuses on the past and how to recover from its effects so you can function in the present. Coaching looks forward and encourages you to develop strategies for overcoming obstacles and achieving dreams. At F.R.E.S.H. 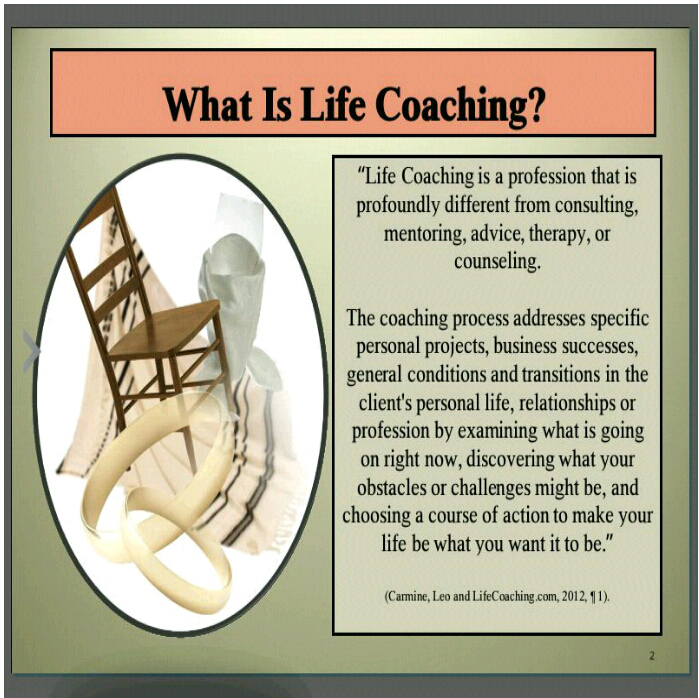 Counseling Solutions, a Coach will guide you through the process of developing a Life Plan. A Life Plan is a plan you discover through a series of helpful exercises and processes. The Coach will encourage you to grow by sharing the knowledge, experience, and gifts that has been given to him or her, and will draw upon the gifts, talents, and abilities that you already possess and and empower you to use them. Please browse this site and see which method of Coaching works for you. If you have additional questions, check the FAQs page, leave a comment on our Contact page, or email Kevin LaMar Sr. at freshlifecoach@gmail.com.